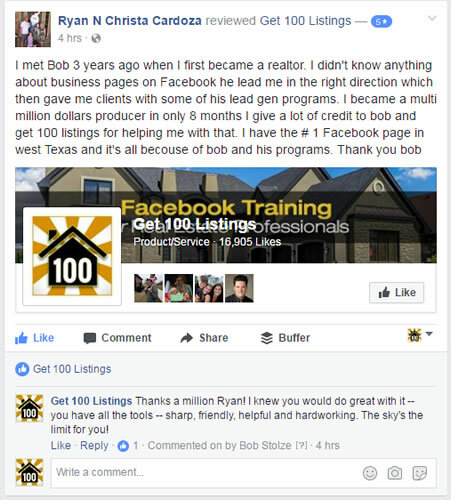 EXACT Facebook Ad for First-Time Homebuyers? SPECIAL: 50% OFF for a Limited Time! Apply discount code 49SPECIAL on the Join Page and keep that price for as long as you remain a member. No contracts. Cancel anytime. Join the Club for Access to the Entire Real Estate Marketing Library! 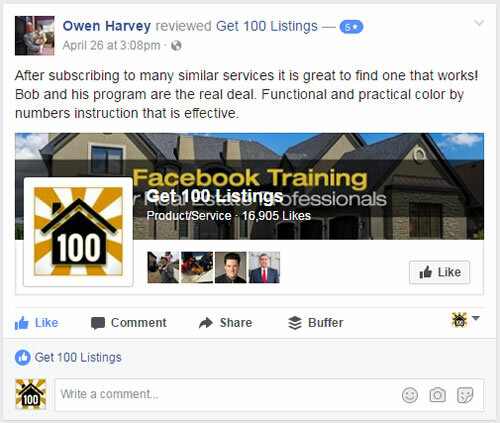 8 Facebook Lead Ad Programs to cut your real estate lead costs in half or more! 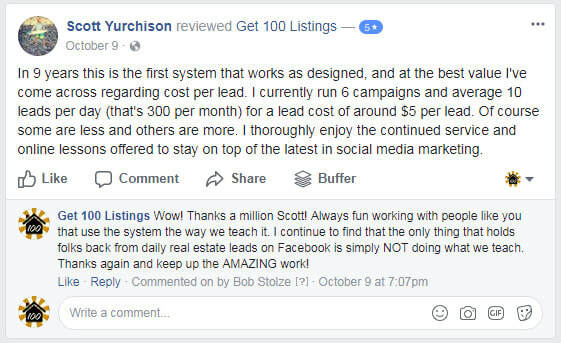 What are Lead Ads? 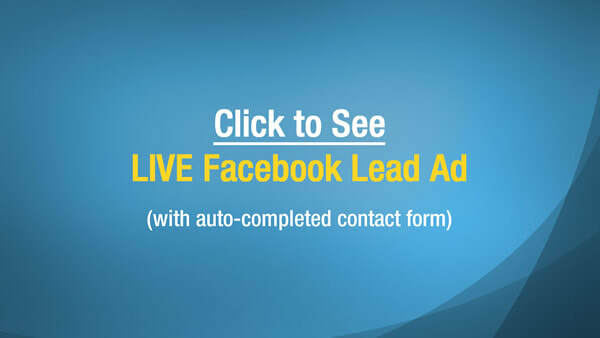 Click for a LIVE example in Facebook. 50+ Video Ads for Facebook 15 - 30 seconds long. New videos added each month. Example below -- watermarks removed for members. Apply discount code 49SPECIAL on the Join Page and keep your special price as long as you remain a member. No contracts. Cancel anytime. 33 Video Shorts for Facebook Ads. Get more leads by getting your full message across in 12 seconds or less. See example below. 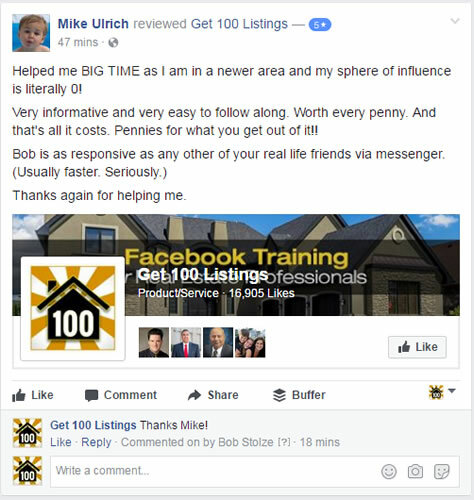 85+ Video Tutorials -- all fresh from 2017, 2018, and 2019 -- for Better Facebook Results. Plus, you'll get new tips, tools, & techniques EVERY Friday. 1000's of Real Estate Images + Video Clips ​to use any way you want, wherever you want, as many times as you want. License-free! Access to Made-For-You FB Ad Images created for you to use, customized for all regions of the US. Just click and save the ones you want. Secret way to get $900 of free exposure on Facebook each month...and much more! 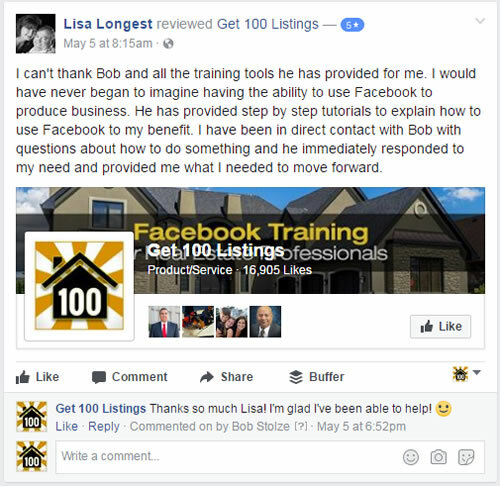 Get PROOF of your Facebook Marketing Skills! 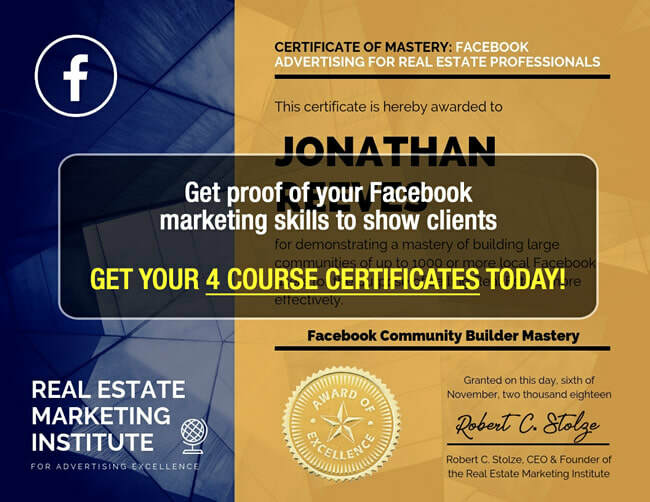 Complete all 4 courses and receive certificates of mastery in Facebook Strategy, Community Building, Paid Ads, & Free Exposure Techniques. 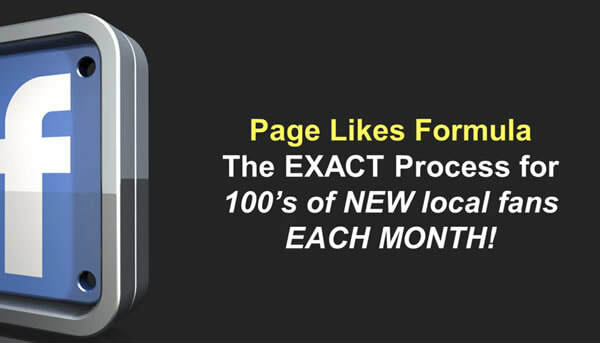 Get our #1 Page Likes building formula (specifically designed for Realtors & Loan Officers) and start getting 100s or 1000s of new local fans EACH MONTH! 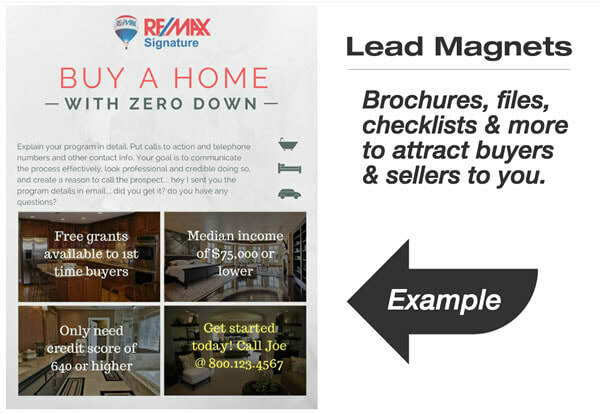 Attract Buyers or Sellers to you with Lead Magnets. Use proven ways to get prospects to contact you for their real estate needs. Our 300+ Members LOVE It and You Will Too! Take our 3-Day Challenge. Sign up and try it for 3 FULL DAYS. Don't like it? 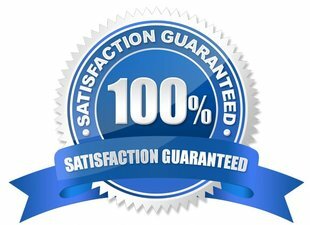 Just cancel on our Help page in 3 days or sooner and we'll refund your money 100%. There is NOTHING LIKE THIS available to Realtors & Loan Officers online. See why we're different. BTW...You won't cancel. You'll love it. Try it and see why.